First Home Buyers, Investors, Parents - here is your opportunity to an entry level property so close to the city centre! The owner knows the property could be enhanced with some renovation and has agreed to a very sharp price to allow you the flexibility to any upgrades you may wish to do. 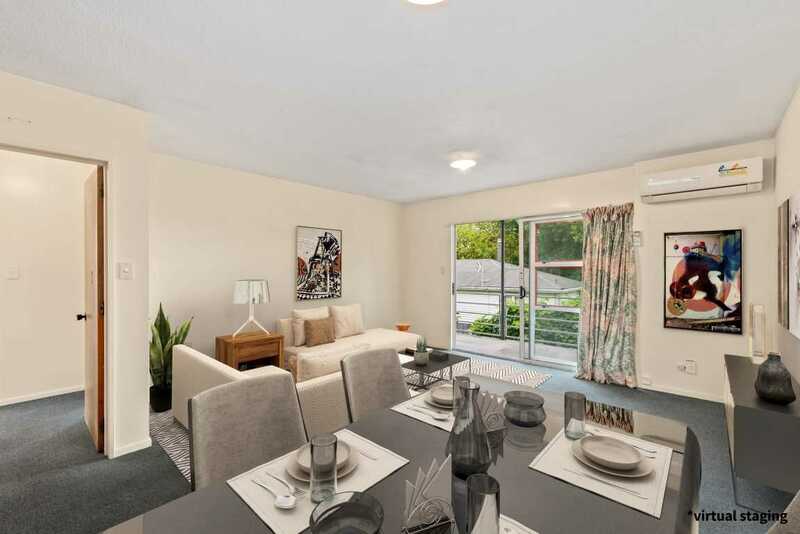 Add to this the fantastic school zone, large two bedroom unit, double garage, sunny upstairs end unit with views to the hills, and a great 'lock up and leave". This handy location is in very close proximity to "The Colombo", a supermarket, a range of shops, public transport and the city. There are few cities in the world where you buy so close to the city centre at such an affordable price. This is a very good opportunity to buy rather than rent - your mortgage could cost less than your current rent! Or if you want an investment property this location rents very well and with a rental appraisal for $290-$310 the signs are there for a good rental return on investment. This property is for definite sale so don't delay, call me for an appointment to view today. Saturday 20 Apr 1:00 p.m. - 1:30 p.m.